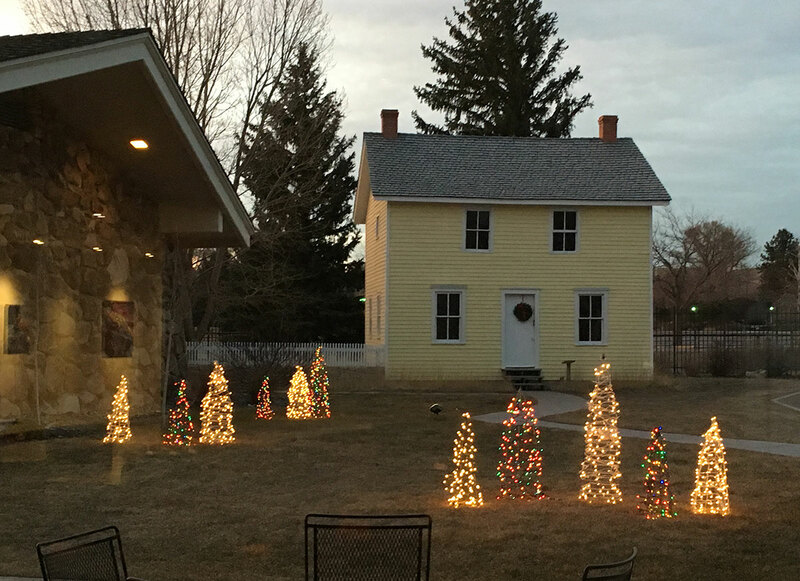 The Buffalo Bill Center of the West invites the region to come celebrate the season with the Buffalo Bill Center of the West at the annual Holiday Open House, a day filled with festive decorations, Santa Claus, and entertainment. 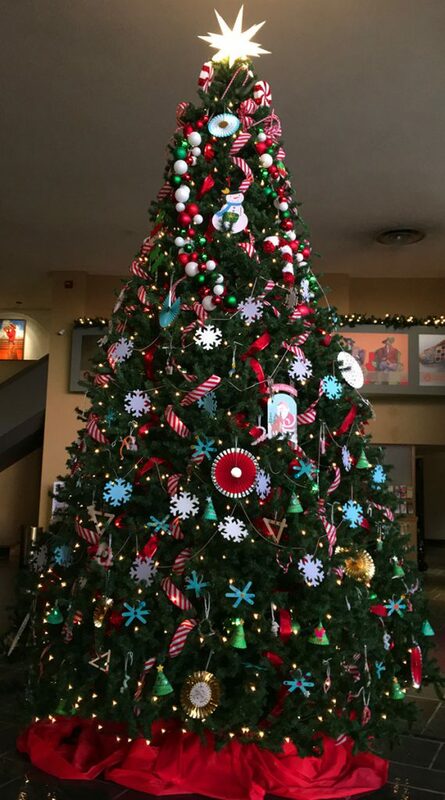 There’s nothing like the sight of a sixteen-foot decorated Christmas tree and gingerbread house to put everyone in a festive mood! The Holiday Open House takes place Saturday, December 1 and is free, but families attending are encouraged to share the holiday spirit: The Center asks that you bring a non-perishable food item, still packaged toy, dry pet food, or pet toy item and place it in the applicable collection box at our entrances. The Buffalo Bill Center of the West will distribute the food donations through Cody food pantries. Toys will be distributed through Toys for Tots and pet items will go to the Park County Animal Shelter. Local and regional groups perform for the crowds at the open house, with entertainment running simultaneously in two venues. The diverse programs offer something for everyone: music by choruses, carolers, honor choirs, jazz bands, and instrumental quartets; dance in styles from ballet to modern, clogging to tap. All these performers generously volunteer their time and talent. Santa Claus considers the Buffalo Bill Center of the West a very important stop in his preparations for Christmas Eve each year. Children of all ages can visit with Santa at the Holiday Open House and tell him their wishes for the holiday season. Parents are encouraged to bring their own cameras or cell phones to capture these precious memories! Nearby, the Cody Reading Council is on hand to read favorite Christmas and holiday stories. If that line to Santa is long, there will be plenty to entertain the children while they wait! Commemorate the occasion with a free souvenir bookmark. Our resident printer, Mike Parker, helps visitors print their own bookmark next to William F. “Buffalo Bill” Cody’s printing press in the Buffalo Bill Museum. In front of the Center’s Museum Store, popular local author and historian Bob Richard signs copies of his latest book, Frost & Richard Camping Co. Journey to Yellowstone, from 10 a.m.–4 p.m. His latest title is available for purchase along with several of his other works about the Cody area, his experiences as a Yellowstone Park ranger, as a tour guide for groups in the Yellowstone region, and how his photography avocation follows in the shoes of his father, Jack Richard. The Museum Store offers a storewide sale—30 to 75 percent off, with some exceptions—during the Holiday Open House. With every $50 purchase, receive a free Crow Cradle poster. This is the perfect time to complete those final Christmas present purchases! Keep in mind that the Buffalo Bill Center of the West’s hours change on December 1; the Center will be open Thursday–Sunday, 10 a.m.–5 p.m., closed Monday–Wednesday. Contact: Samantha Harper at [email protected] or call 307-578-4138.